Professional AV tools that are easy to operate, control and automate - perfect for use in live event settings such as auditoriums, government facilities, Houses of Worship or presentation areas of a classroom. 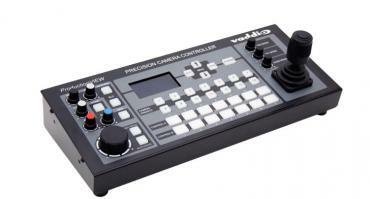 Designed for use with the AV Bridge MatrixMIX Multipurpose AV Switcher, the PCC MatrixMIX Live Production Controller is equipped with precision controls for camera operation via the AV Bridge MatrixMIX. 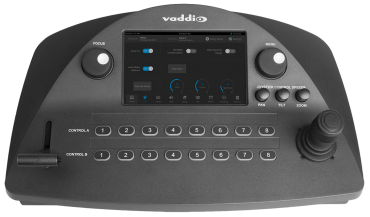 Vaddio’s PCC Premier, Precision Camera Controller Premier, is the newest addition to the camera controller consoles with the added advantage of anywhere, anytime control for your best video production yet. 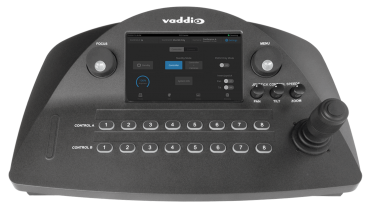 The PCC Premier can control up to eight Vaddio, Sony and Panasonic cameras with RS-232 and controlling an additional 80 Vaddio IP cameras over the IP Network. Joystick controller for extremely smooth and accurate pan, tilt and zoom control.